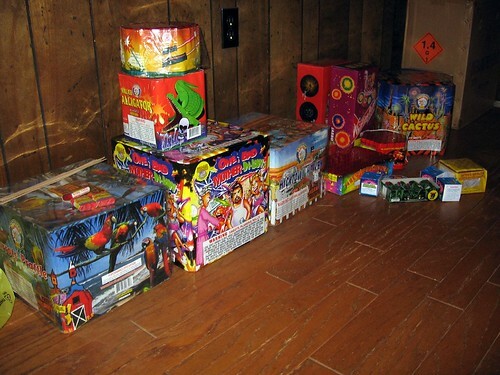 As the 4th approaches, cops are arresting against anyone found selling and possessing illegal fireworks. Since May, cops have been encouraging residents to report on anyone dabbling in illegal fireworks. Currently, cops have the authority to close businesses and confiscate cars if fireworks are found inside them, officials said. Last year, the NYPD were seizing the cars of people who travel out of state to get their Fourth of July fireworks by staking out Pennsylvania vendors. A $1,000 reward is being posted for information leading to the arrest and conviction of anyone found possessing or distributing fireworks. Anyone who knows someone storing or selling fireworks can contact 311. Those witnessing fireworks being set off can call 911.
back in the day in the beach all the cops kids had the best fire works cause they took them from all the other kids lol in other neighborhoods.